Vast atriums with glass ceilings look great but can suffer from solar glare and poor acoustics. 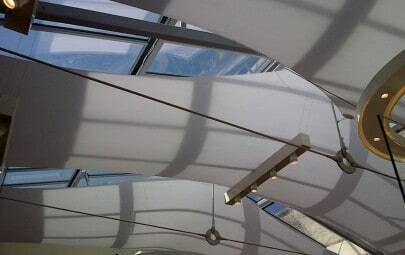 An economical and creative way to manage sunlight and reduce echo is the introduction of fabric. 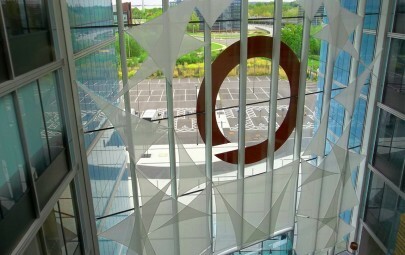 The four story atrium inside the new NCFE building in Newcastle was our canvas. The NCFE requested an architectural solution to control the solar glare, reduce the echo in the atrium and make the large space look interesting. 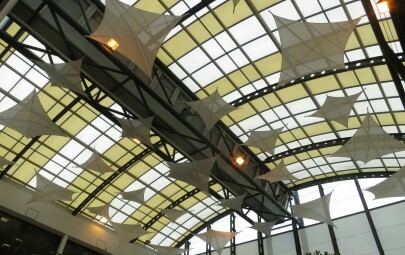 The design solution was a series of suspended flat tri-sails. 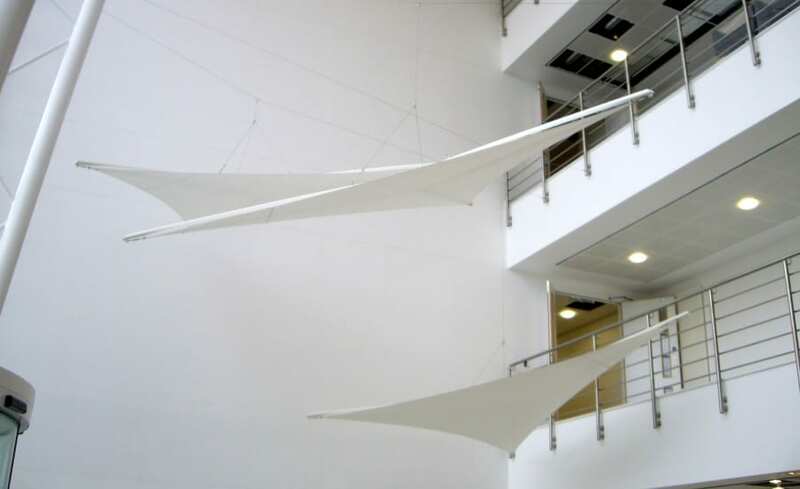 In total, 5 no 4m tri-sails were installed at varying heights using stainless steel cables. 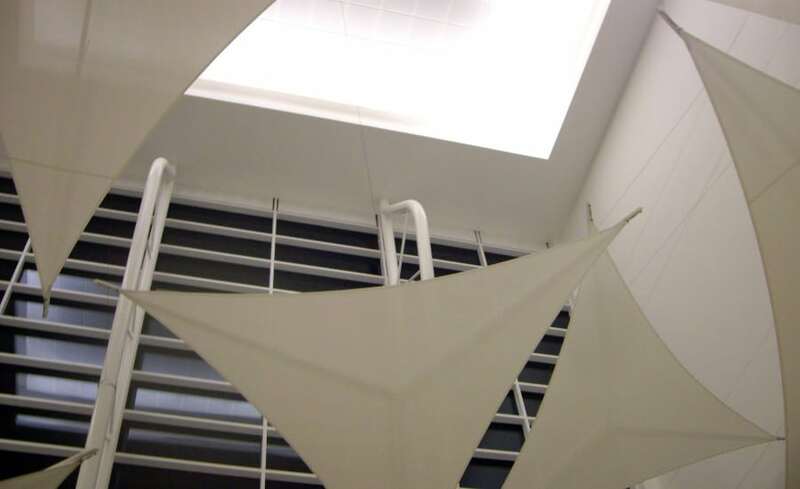 The cables are almost invisible, allowing the sails to appear like they are floating. 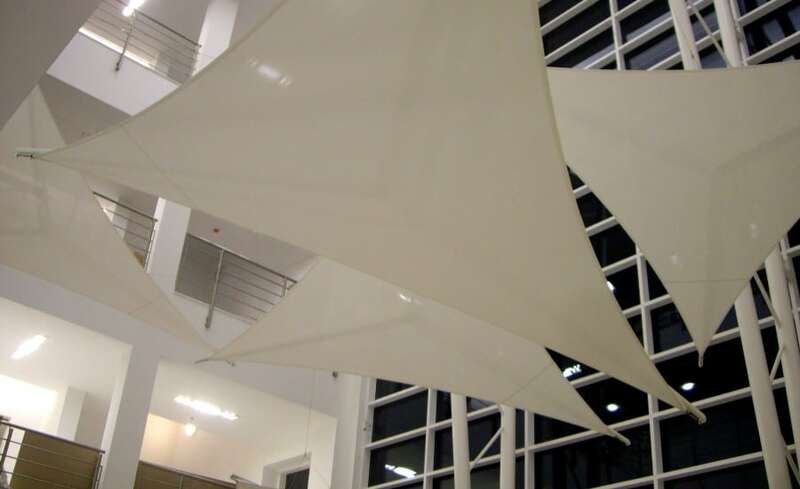 White PVC Coated Glass fabric was chosen because of it Class O fire rating. Our biggest challenge was installing the structures in a very tight deadline of two days. Our Site Operatives successfully met the deadline and the client was very impressed. 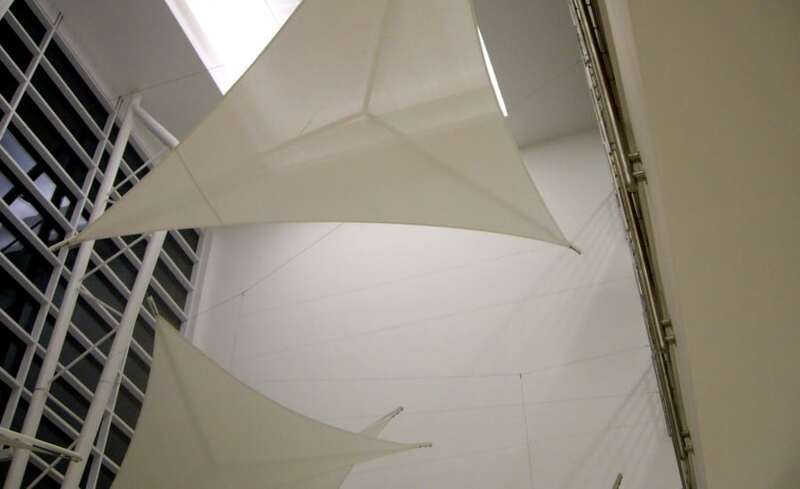 The result of the addition of fabric tri-sails is a modern, artistic atrium that impresses visitors, reduces glare and improves acoustics.